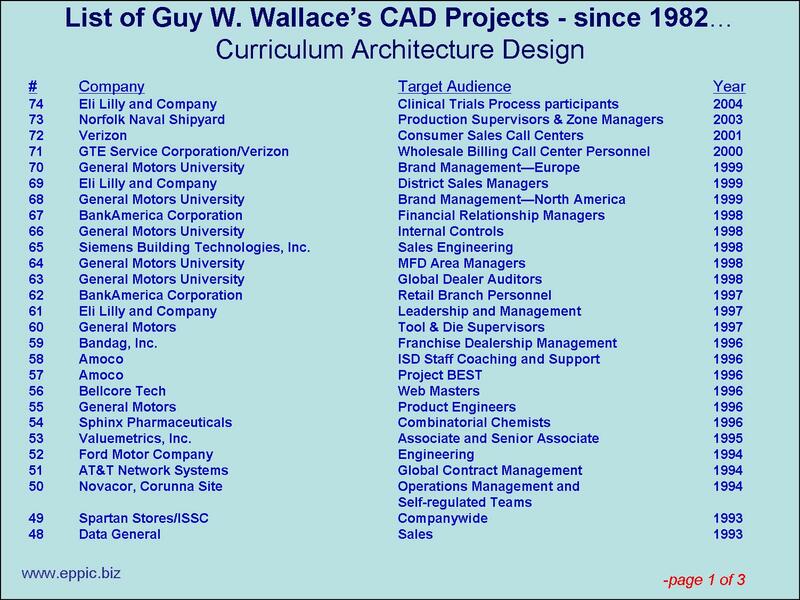 CAD – Curriculum Architecture Design is a performance-based ISD methodology for Training Needs Analysis…and more! It is not the ADDIE level of ISD, which is MCD – Modular Curriculum Development/Acquisition in the PACT Processes for T&D/ Learning/ Knowledge Management. That level builds/buys Instructional Products of any blend, using any appropriate, feasible technology. 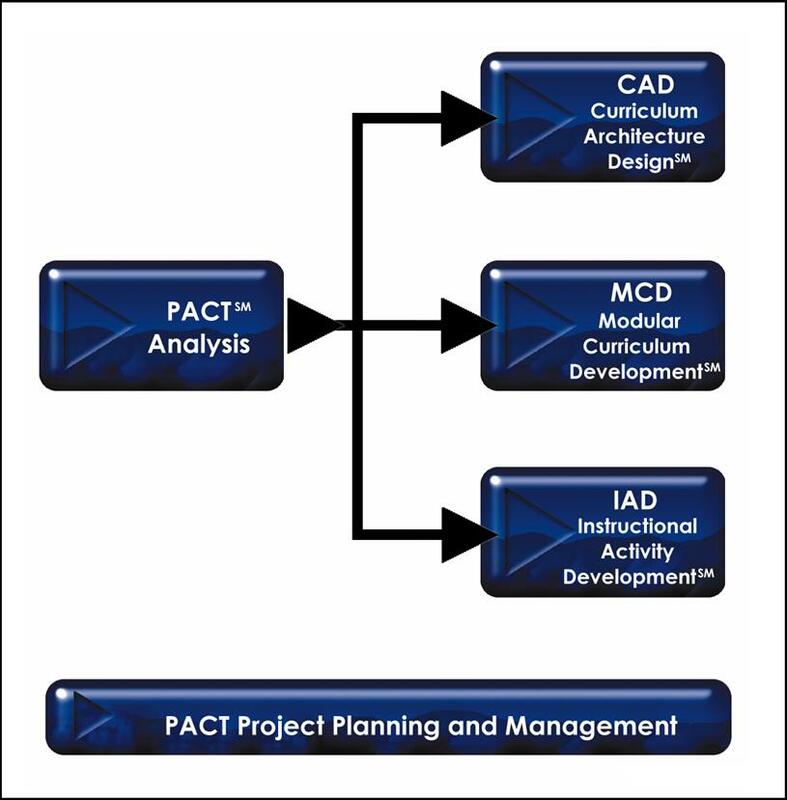 If a CAD effort preceded an MCD effort the Analysis and Design Phases are usually combined – and the Analysis Team meeting and the Design Team meeting is also combined. 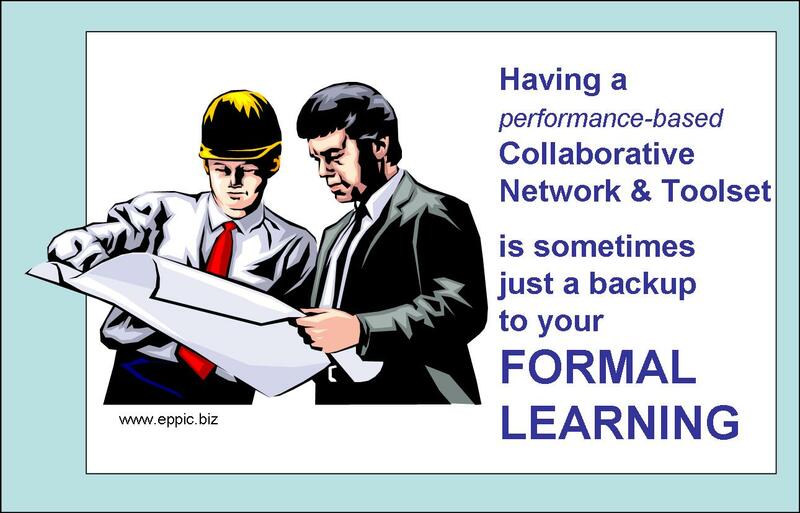 That often is a typical, planned adaptation of MCD for all projects of a smaller scope, or where it’s “more of the same” in terms of the content – more policy/procedure modules, or more product knowledge modules. And in those “more of the same” module development efforts, the Pilot-Testing might be skipped…depending on the “risks for being incorrect” as determined by the Project Steering Team…who may be paying particular attention to some development efforts…while almost completely ignoring others AFTER they set them in motion. Which is the right approach? As always, it depends. So I built all of these ISD methods to be flexible…for short cutting where appropriate…shortcutting usually by combining efforts and sometimes by just plain skipping steps! 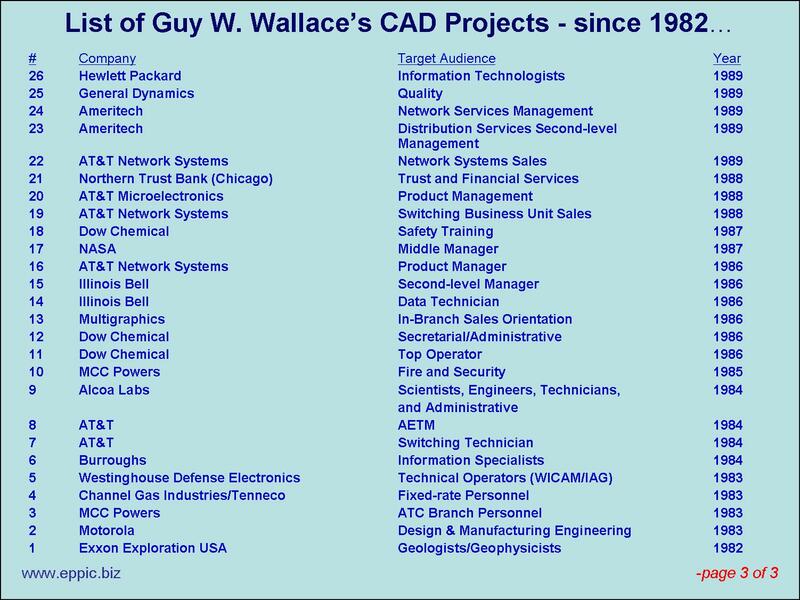 I’ve conducted 74 CAD projects since 1982 myself, and have “helped out/coached/co-conducted” on dozens and dozens more efforts, efforts that were being led by members of my staff at SWI and then CADDI, and the ISD staff of my clients. Every project is a little different and the Phase 1 Project Planning & Kick-Off efforts systematically uncover the unique needs and adapt the plan accordingly. Sometime the adaptations are in the plan brought to the Gate Review meeting with the Project Steering Team. And sometimes the adaptations are called for in that meeting. Add in an Analysis Review Team (or more) prior to the Analysis phase Gate Review Meeting. And a Design Review Team for additional “eyes on the design” prior to the Design phase GRM. To broaden the participation. Because the PST felt that having 8-12 Analysis Team members wasn’t sufficient coverage of the Target Audience, geographically and/or politically. And before using the analysis data from the 12 in the design efforts, let’s give that a more thorough review. And then before we do detailed planning on the Curriculum Architecture’s “gaps” and which to build/buy over a multi-year (or quicker depending on the situation) let’s make sure that the T&D Paths and the Individual T&D Planning Guides (replaced soon by the LMS after its short-term usefulness in the CAD design reviews for those organizations with an LMS). That the T&D Events that are “gaps” make sense “by title/length and intended deployment method” – and the order that they appear on the Path – and that even the Modules’ titles, lengths and deployment make sense. Modules are chapters to the Events as books. An Event might be one Module for one audience, and then when another Module or two is added it becomes a new Event, for another target audience. And that the T&D that is called out for Reuse in this Curriculum Design effort, existing Instructional Content, that that makes sense to the reviewers as well. Does it seem like a lot, like overkill? What if the Target Audience is 1200 Product Managers overseeing the entire product line of your firm and they are stewards of over $10B per year in New Product Development efforts and in the cradle-to-grave Product Life Cycle Management efforts? In multiple, and fairly independent Business Units? With a lot of “politics” throughout…as predicted at the front end of the effort? Or the Target Audiences are bank tellers in an organization that has recently bought a lot of banks and brought them into the system and now there is a lot of cleanup to do because the bank can’t afford multiple sets of ever-changing redundant training content…and they aren’t going to go the Informal Learning Route…or the Guided Informal Learning route either. Too many compliance risks. Perhaps the need is for “more eyes” on the outputs of some phases before they are used as input into the next. Proceeding with prudence versus haste. To avoid waste. And rework. PACT attempts to be VERY linear. To avoid rework. To get it done right the first time. To get the right people involved at the right time doing the right things. A 4-phase CAD effort could be done in a matter of weeks…or even days. Usually it is about 2-3 months – due to the intended meetings of the right people to quickly gather an immense amount of data…data gathered systematically – and then reviewing it before using it. When that CAD analysis data could include hundreds of major Task statements (not micro-tasks) related to hundreds of Outputs in a 6-12 Areas of Performance “framework” that reflect the Processes that the Target Audience works in…and that leads to the identification of 800-1200 or more discreet K/S items in 17 categories…. You need to build the quality of the data in as well as inspect it afterwards…before use…for building familiarity, comfort with the data, for political reasons. That’s why the PST is asked to handpick the Analysis Team members (or approve a list) before we begin the analysis. To begin the build trust in the process. That’s been my approach to collaborating since the early 1980s. 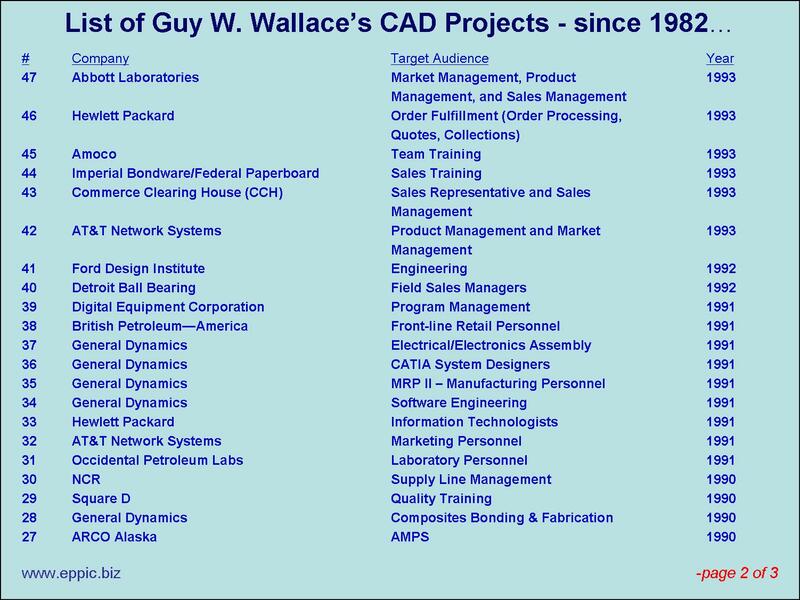 And if you are going to the ISPI Spring Conference this year…in about a month…you can see my presentation on CAD.